Happy Monday! I hope you all had a great weekend! We enjoyed a date night, celebrating friends and their birthdays, and lots of family time. 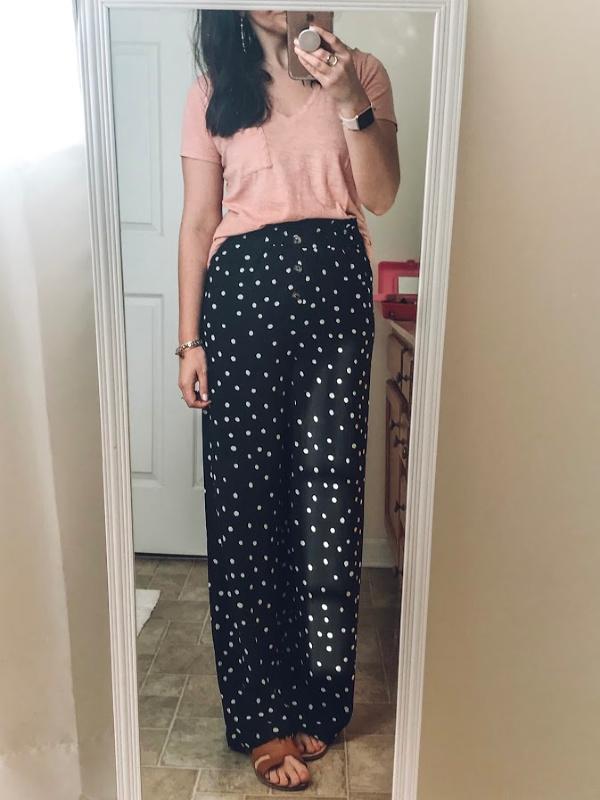 Yesterday, we had to squeeze in a trip to Target so I could go back for these polka dot pants. I spotted them the week before and put them back because I was unsure about styling them. Well, I thought about them all week so I knew they needed a place in my closet. They definitely spark joy! 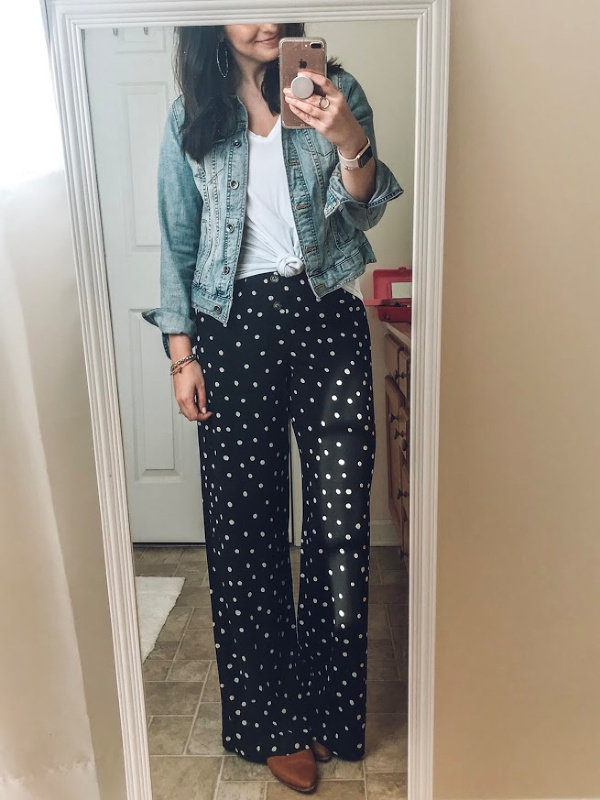 Fun fact: I've always really loved polka dots! When Josh and I were dating, he got me a really cheesy plate for the front of my car made. It was pink with polka dots with the words Polka Dot Princess on it. Haha! I actually still have it and it's still kind of true... I still love polka dots but I would never, ever again refer to myself as a princess of any sort, lol. 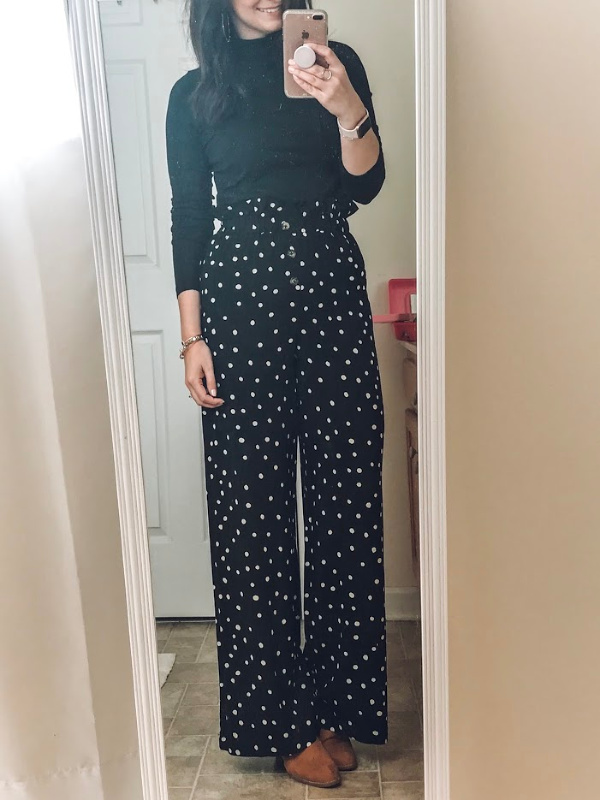 Since I had to put some thought into how I would make these pants work for me, I thought it would be really fun to share six different ways to to style them, including some ways to wear them now while it's still winter and when the weather warms up this spring! Sizing Info: I'm wearing the size small and I typically wear a 2 or 4 in pants and jeans. I'm 5'5" for height reference. I was initially afraid that I couldn't make these pants work for winter. The footwear had me stumped at first but I really love them paired with mules! The first look I put together was a basic black turtleneck and my heeled mules. If it's extra cold, just add a warm coat. 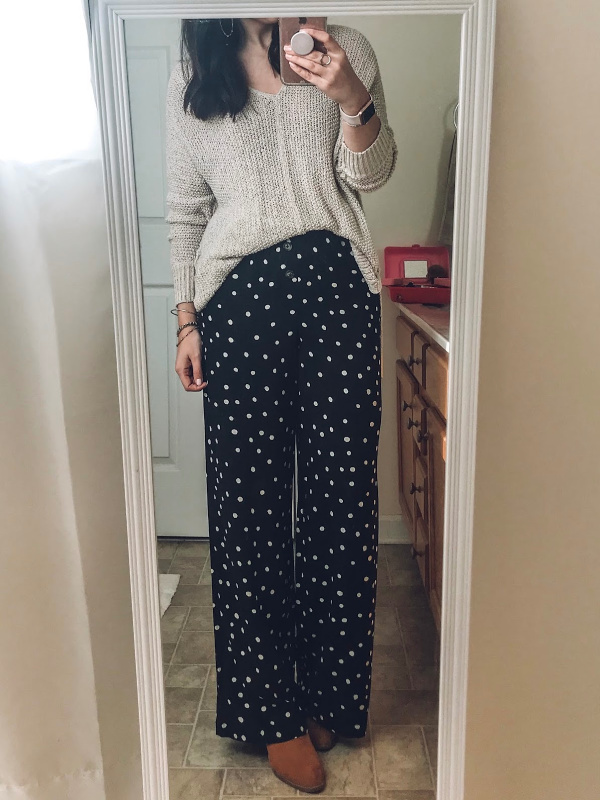 Polka dot pants can definitely work in the winter! Pairing an oversized sweater with wide leg pants can be tricky because you don't want to loose your shape. My favorite way to prevent loosing my shape is with a front tuck. I love this look with a neutral sweater but it would also look great with a fun, festive color like red or pink. In order for an item to be worth buying, it's got to be functional enough for a mom uniform. 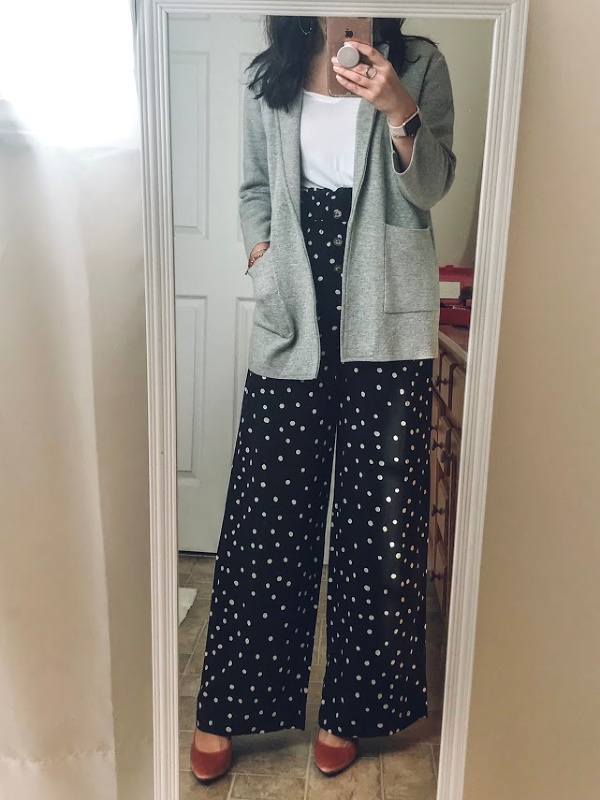 Y'all, these pants will take your mom uniform up a few notches without sacrificing comfort (because the pants legitimately feel like you are wearing pajamas). I paired them with a basic white tee (I sized up one size to easily create the knot), a denim jacket, and my flat mule slides. Such an easy, casual look for the busy mom (or any woman) on the go! 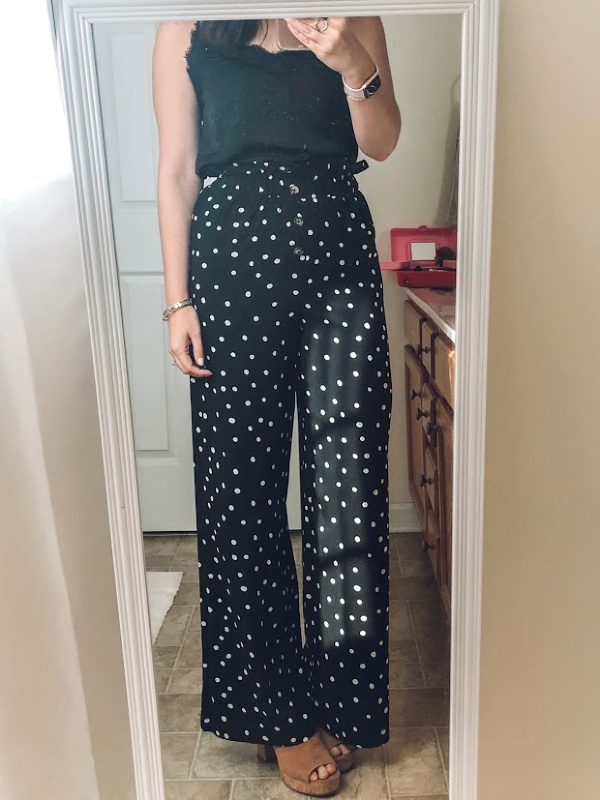 I don't personally work in an office setting but these pants would be such an amazing addition to your work wardrobe! I styled them with the same white tee (tucked all the way in), pink heels, and a sweater blazer. Professional and put together plus comfortable! 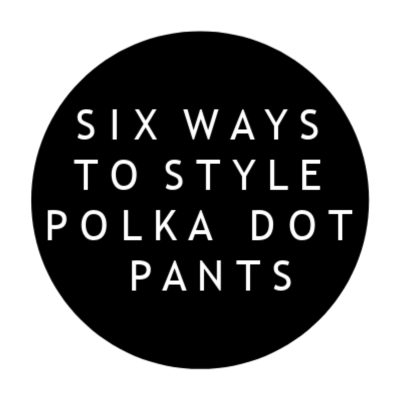 Polka dot pants are also great for date night! Add a lace trim cami and heels to transform this look into a sassy look for a night out! If you get cold add a fun blazer, denim jacket, or any other layer. Too cold for open toes? Wear a pointy toe heel to elongate your legs! These pants are also going to transition perfectly into your everyday spring casual wardrobe. Add a basic v-neck tee (either tucked in all the way or front tucked) and sandals. Swap the tee for a tank for a day at the beach or even wear these pants as the most chic swim cover up over a one piece black suit. The styling options are endless!